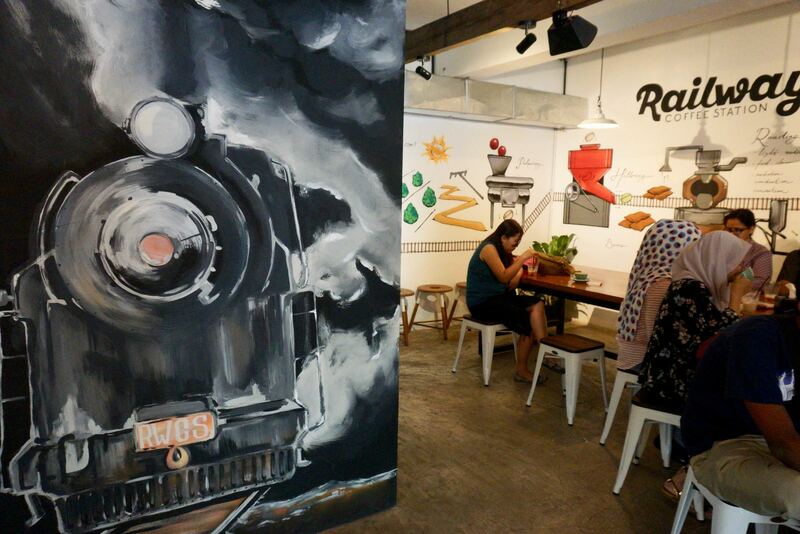 New for 2016, Railway Coffee Station is one of the most centrally located coffee shops in all of Bandung. 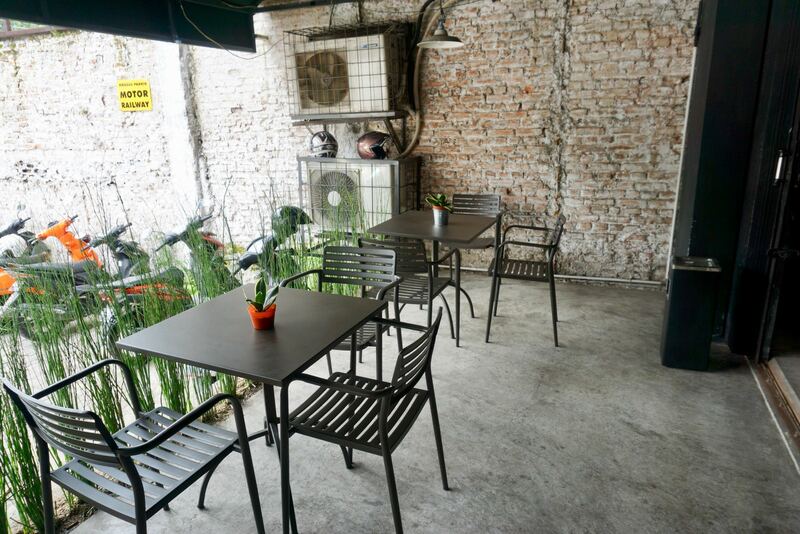 Located on Jalan Kebon Jukut 17 just next to Kartika Sari, it’s convenient if you’re looking for oleh-oleh and a coffee! The coffee here is predictably good. But that’s expected in Bandung these days. If your coffee isn’t fantastic, don’t even bother opening. They’re using coffee from sfroastery here — a great little coffee shop which we really like as well. Prices here are spot on, we think. They’re at the lower end of specialty coffee prices in Bandung and that should encourage more people to visit. This place doesn’t feel like a ruko and that is a major positive. The inside is decorated with wood and metal furniture, large white tiles and a polished concrete floor. 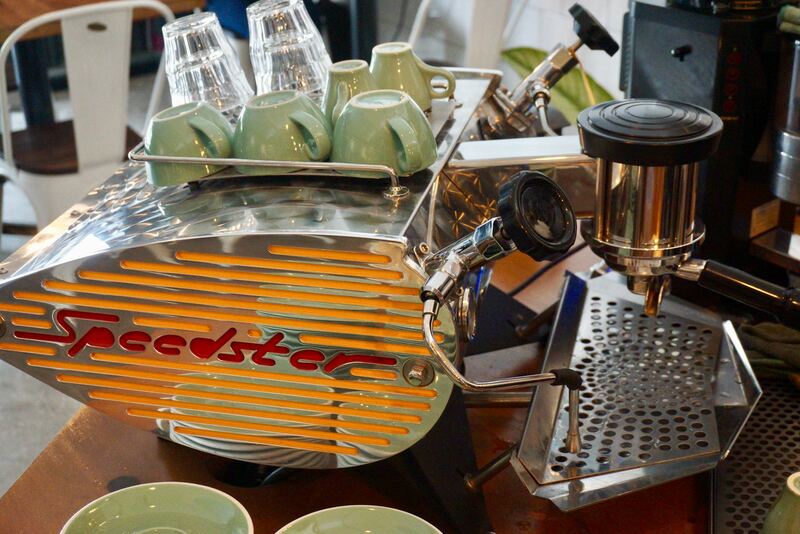 The coffee machine is a thing of beauty. For smokers or those who simply prefer the steamy outdoor temperatures, there are a few outdoor seats which are pretty good. We’re not sure how the air-conditioning compressor units on the wall outside will impact on guest comfort, but we suspect they will make it even hotter on at least a couple of the tables as they pump hot air into covered area. We really like the murals on the wall, the wifi is fast (20mb/5mb) and the staff pleasant. 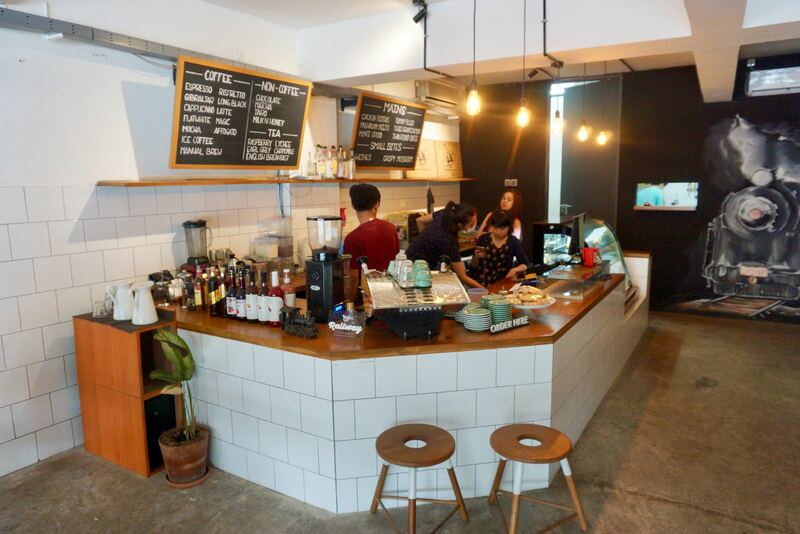 A worthy new addition to the Bandung coffee and nongkrong scene.